Whenever I think of gingerbread men, I think of the Shrek movies. Love those movies! 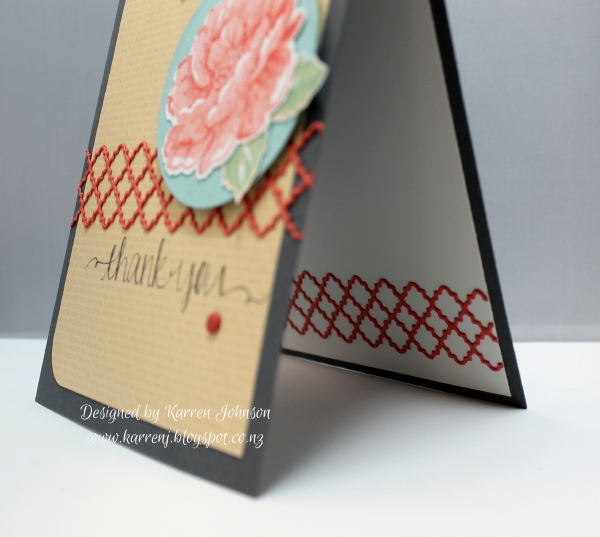 For my card, I used a Crumb Cake card base embossed down each side with the Needlepoint Embossing Folder. The DSP is from a retired pack called Christmas Cocoa. 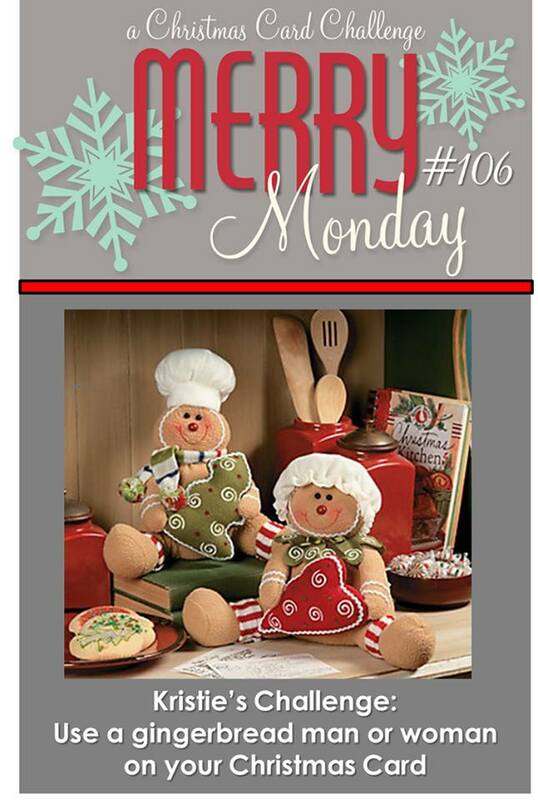 My gingerbread man is from the Scentsational Season set and clear embossed in Crumb Cake ink. I then colored in the buttons and squiggles with markers. My sentiment, which I thought pretty appropriate is from the Candyland set by Close to My Heart. Thanks for looking. Don't forget to check out the rest of the design team cards - they are amazing, as usual! This is my second post for today. If you receive this via email, be sure to scroll down for my Celebrate Blue card. 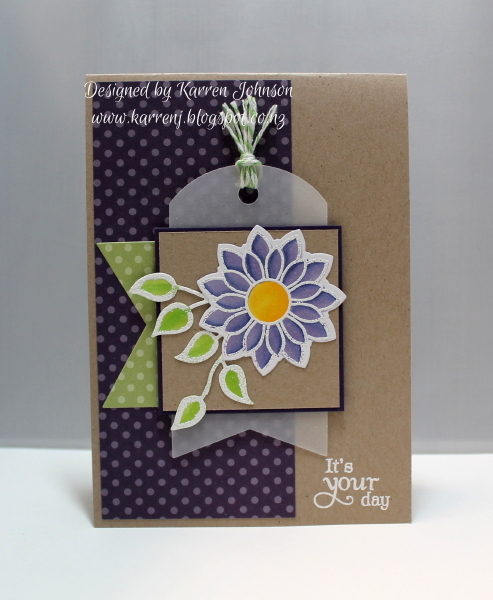 My second card made on the weekend incorporates three different challenges - Friday Mashup to use polka dots, the sketch from Pals Paper Arts and the colours from ColourQ. I used a new-to-me set from Verve called Lean on Me. I first stamped the flower in Memento Angel Pink ink then colored using my Copics. Once that was finished, I stamped over the image in Versamark and white-embossed. This is a trick from Jennifer McGuire. The leaves were die-cut from Xpress-it cardstock, then roughly colored using Copics. 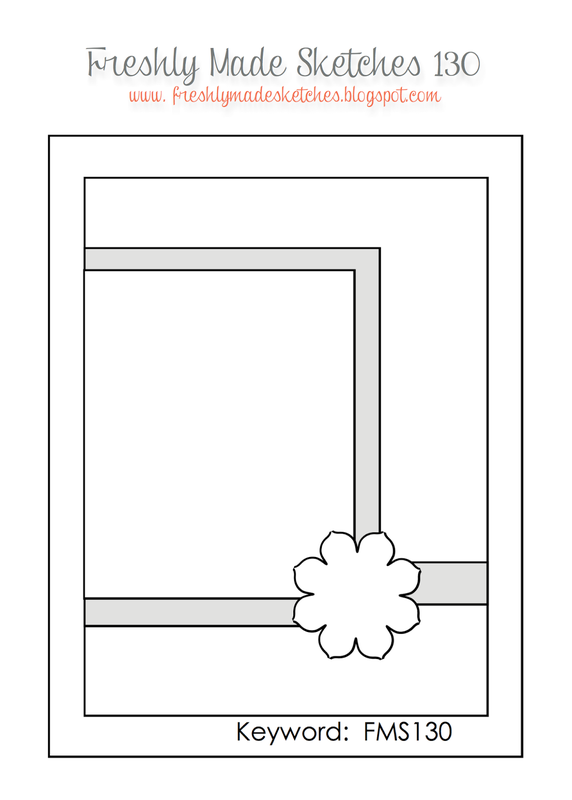 To match the flower, I took my Versamarker pen and outlined them before white-embossing. The rest of the card is fairly self-explanatory. 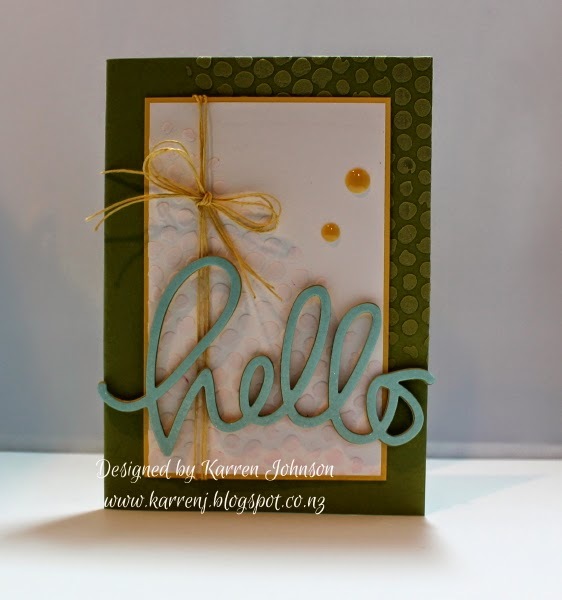 Edited to Add: This card got a Shout Out at both Friday Mashup, ColourQ and Pals Paper Arts. I've got two cards to post today and this is my first. 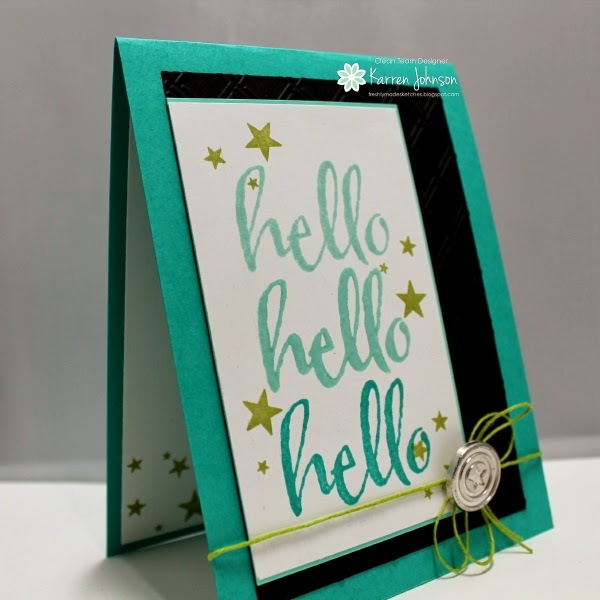 I made this card using the beautiful blue colour challenge at Colour Me and the fun challenge at CAS-ual Fridays. 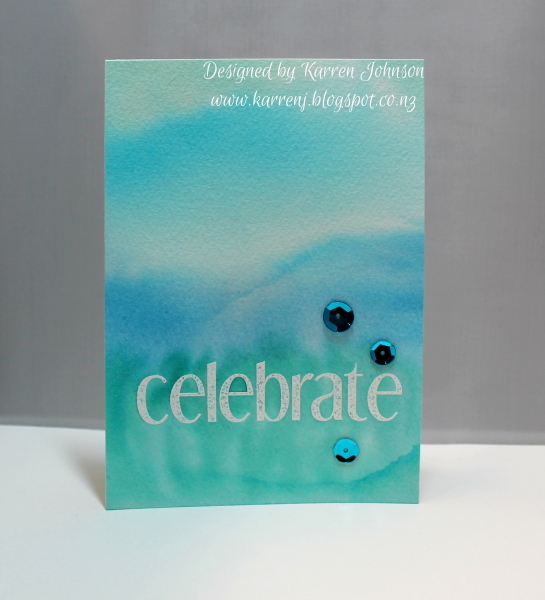 I white-embossed the word "celebrate" from the Shenanigans set onto watercolour paper then liberally spritzed the paper with water. I dropped a single drop of ink in each of the challenge colours onto my craft mat and spritzed with water. I then picked up one colour at a time with my paintbrush and painted the watercolour paper. I started with Coastal Cabana at the top, then Tempting Turquoise, then Pacific Point and finally Bermuda Bay at the bottom. After heat-setting, I trimmed to size and mounted onto a white card base. Three blue sequins finished off the card. 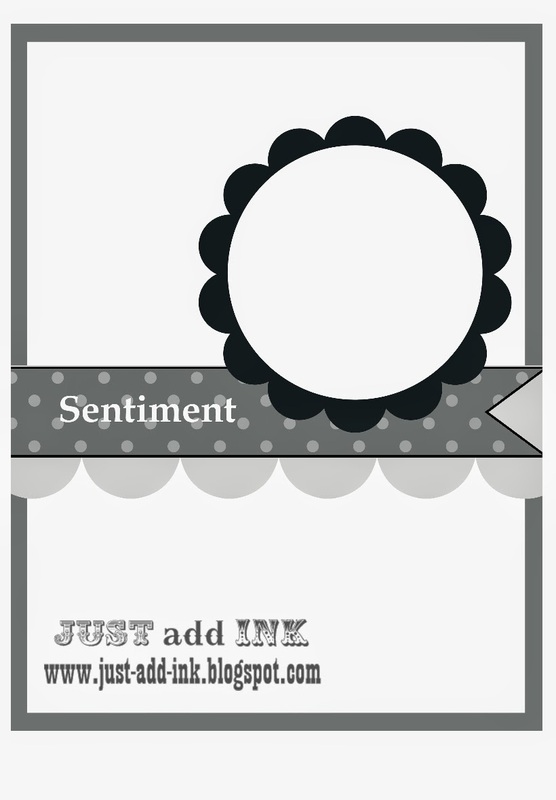 Edited to Add: This card got a shout out at Colour Me. 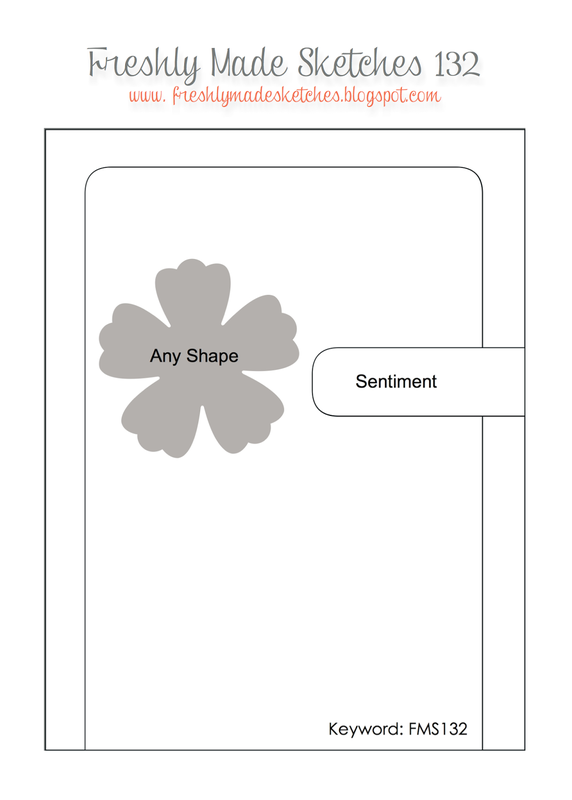 I love circle elements on cards, so I was excited to see this sketch. 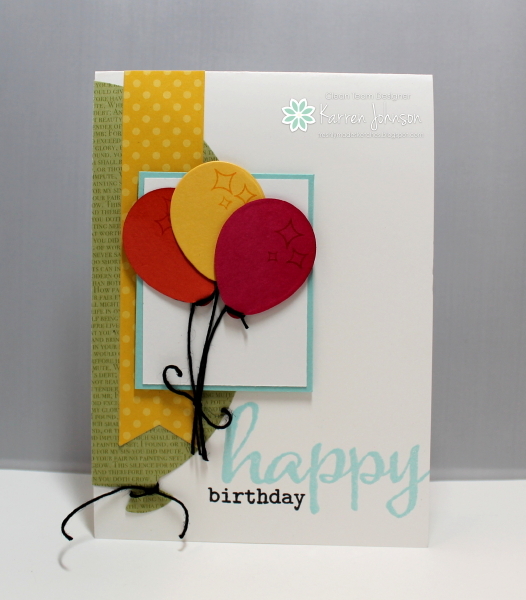 I decided early on to use my new SSS balloon dies for this card and I also wanted to use my Winnie & Walter set again. Then I saw the colors in the W&W logo and the final piece came together - my color scheme of orange, pink, yellow, green and blue - not a complete match to the logo but close enough. I cut the big balloon from Old Olive DSP and the smaller balloons from Tangerine Tango, Daffodil Delight and Melon Mambo cardstock. I tied black twine around all the balloons after stamping some images from Big Bang Confetti on the smaller balloons. The word "happy" was embossed with Pool Party EP then the "birthday" stamped under it in Memento Tuxedo Black ink. Thanks for looking. 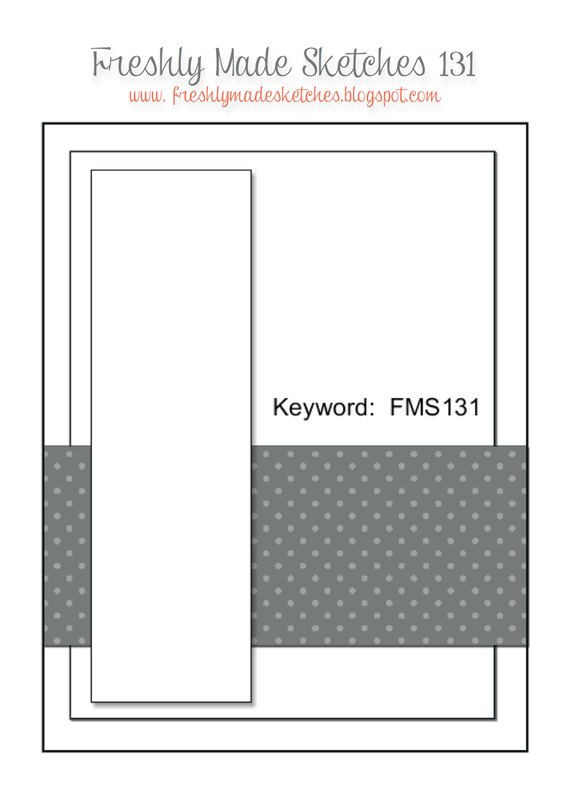 If you haven't already, be sure to visit the FMS blog and check out the inspiration from the rest of the design team. 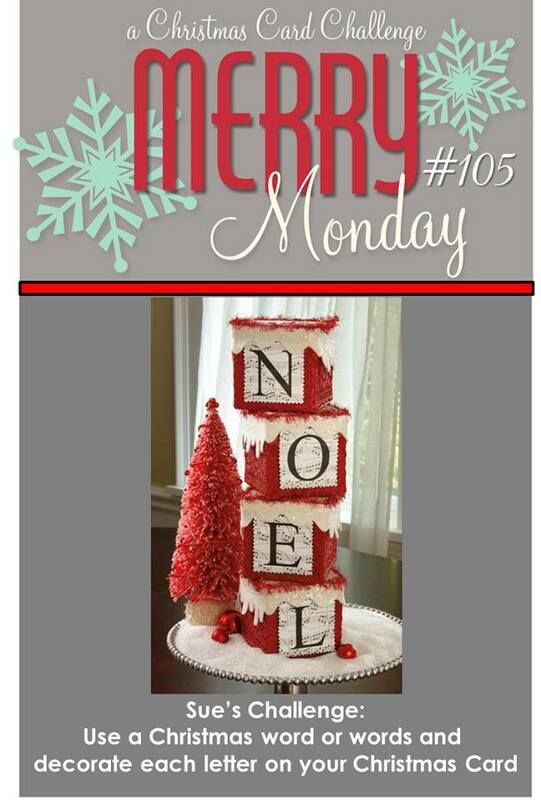 It's Merry Monday time and this week Susan has challenged us to use a Christmas word and decorate each letter. 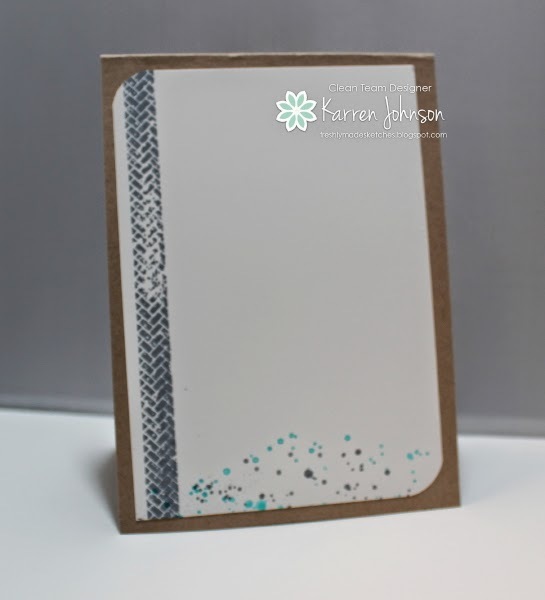 This file was cut from Basic Black cardstock and painted with Wink of Stella for a bit of shimmer. Now, stupidly, I packed away all my gold and silver glimmer paper, so my only option was to silver emboss some cardstock and cut a couple of thin panels and a star cut from the Holiday Collections framelits - my only available star! Here's a closer look at the shimmer of that fantastic Wink of Stella pen. Hope you enjoy the different and wonderful interpretations of the design team and challenge yourself to give it a go! I chose a couple of my favorite challenges to play along with - Just Add Ink and ColourQ. Of course, with most of my supplies still in storage, I had to use the current SU colors of Calypso Coral and Pool Party, rather than Peach Parfait and Baja Breeze. I started my card with a Basic Gray card base, then placed a piece of retired So Saffron DSP over top, after rounding two corners. 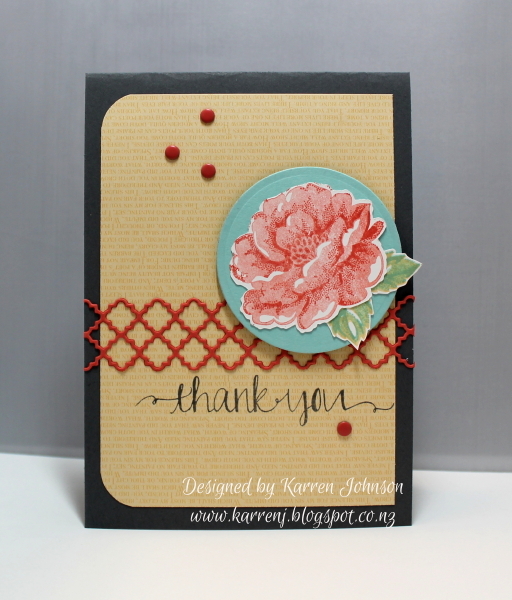 The rose is stamped using Calypso Coral stamped off. The leaves were stamped using both So Saffron and Pool Party to make them look greenish. 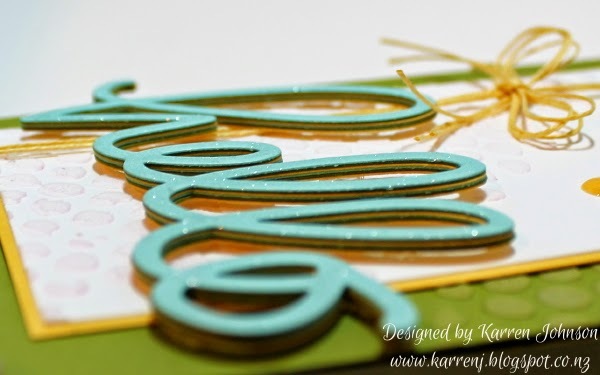 The die cut border is a Memory Box die called Tessatina Border and the sentiment is from the Avery Elle set Oh Happy Day. The inside was finished simply using the same die. Hi, it's time for another challenge at Freshly Made Sketches. This week, the lovely Jen Brum has given us a fun and unique sketch. 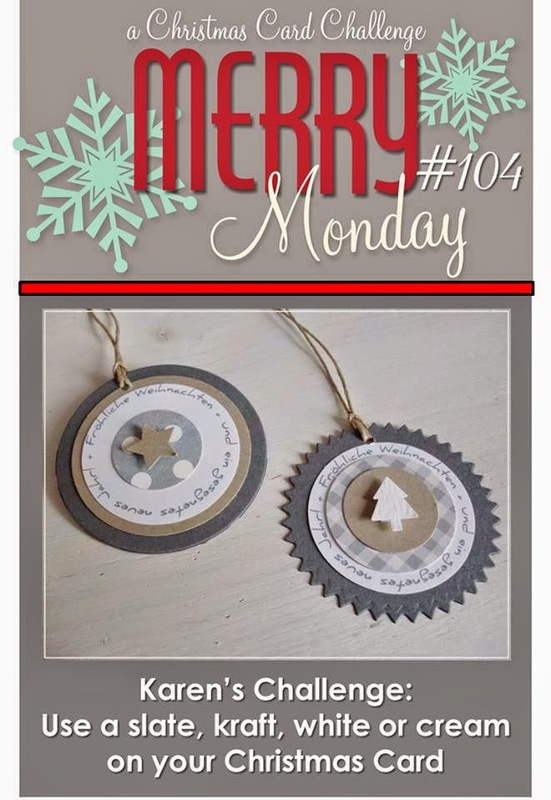 I was looking for die cuts to use for the shaped panel and somehow ended up with no die cuts and a masculine card! Because of the size of my images, I had to place the sentiment slightly below the shaped image but I think it's still close enough to the sketch to pass muster :) Oops! I've only just noticed now that the black panel should go to the bottom of the card. Doh! Sorry, Jen! I started with a Crumb Cake card base which I stamped with Peacock Feathers distress ink and Memento Gray Flannel ink, using Gorgeous Grunge. The black panel is dry embossed with a tread plate EF and rounded on opposite corners. Thanks for visiting. The rest of the DT will blow you away with their creativity this week so be sure to check them out. 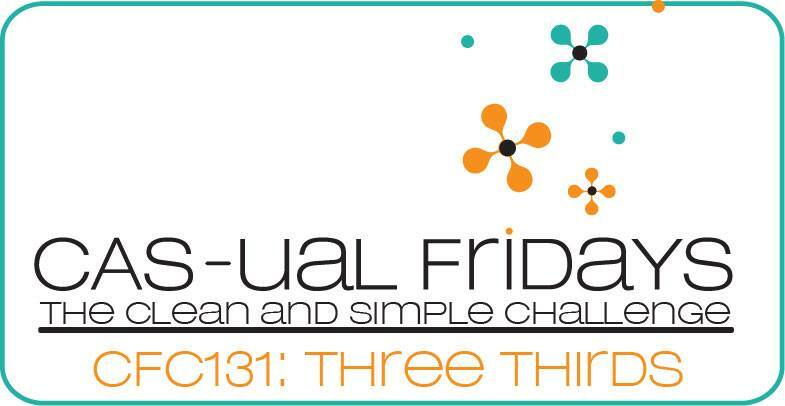 Welcome back for another Merry Monday challenge! 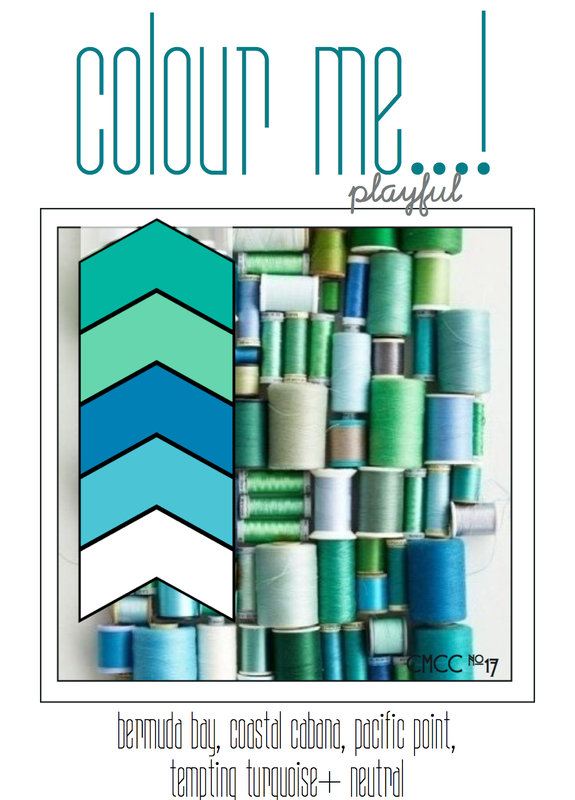 This week my fellow Kiwi, Karen Davis, has a color challenge for us. 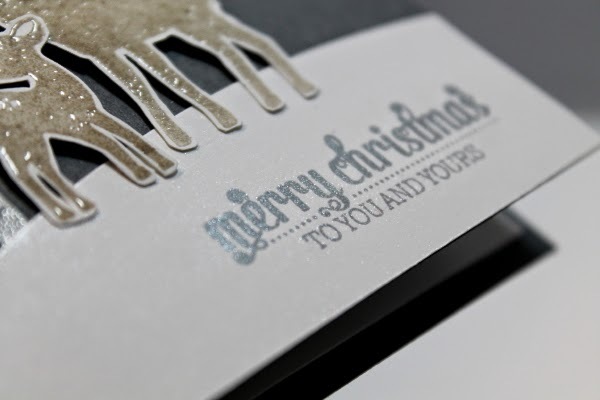 Use slate, kraft and white or cream on your Christmas card. I had just received my first ever Mama Elephant stamps and fortuitously, included was a set that was perfect for this challenge! The Winter Wonderland set is just gorgeous! 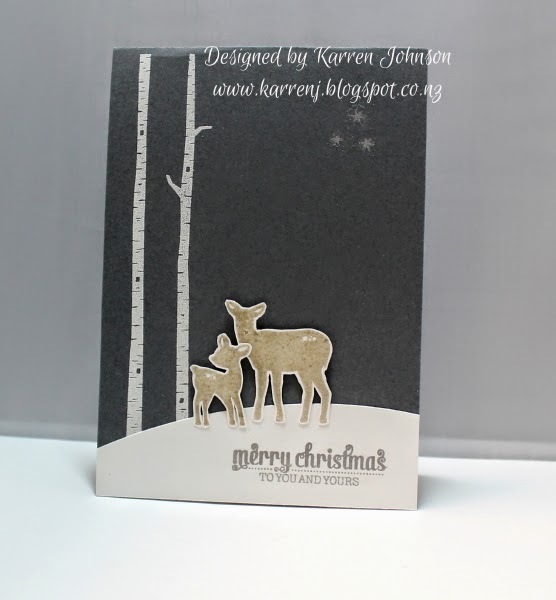 I white-embossed the birch trees down the left side of a Basic Gray card base. 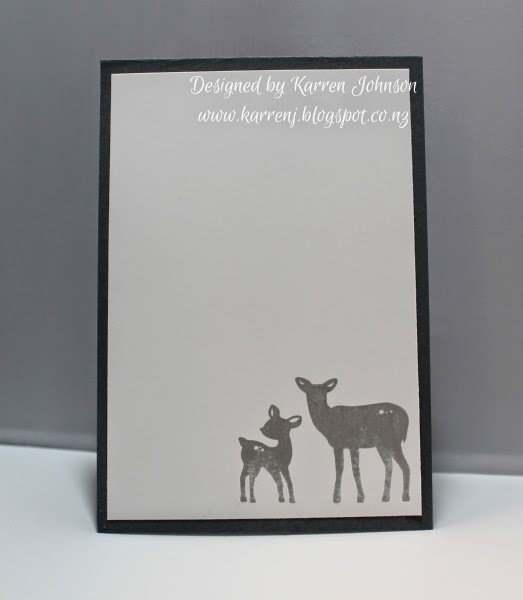 I then clear-embossed over Crumb Cake ink the cute mama and baby deer. For the second week in a row, I went with a snowbank. I didn't intend to but I couldn't work out how to place the sentiment and the snowbank worked best. 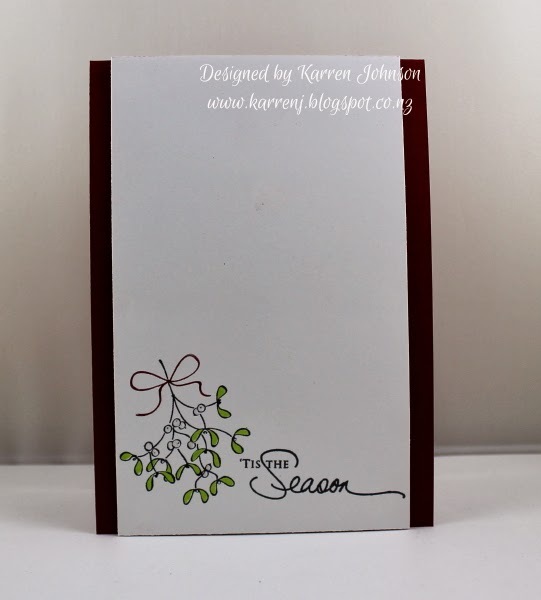 I stamped the sentiment in Hero Arts silver ink which is gorgeous and then painted some Perfect Pearls over the whole white panel. You can just see a bit of the shimmer in this photo as well as the clear embossed deer. On the inside, I kept it simple and stamped the deer in the silver ink. Thanks for visiting. 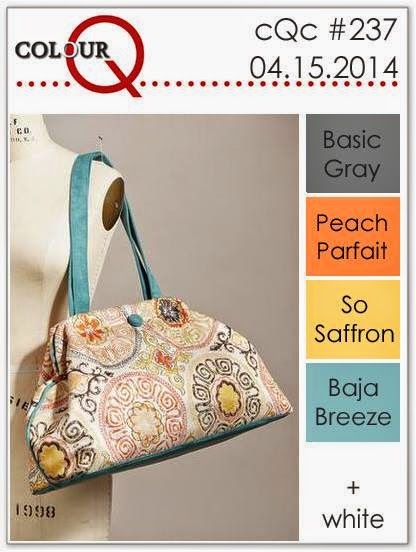 Check out the inspiration from the rest of the design team - their work is gorgeous as usual! Because I can't leave my Wink of Stella pen alone, I had to color the word die. This shot on my craft mat is the best I could get of the gorgeous shimmer. Thanks for visiting. 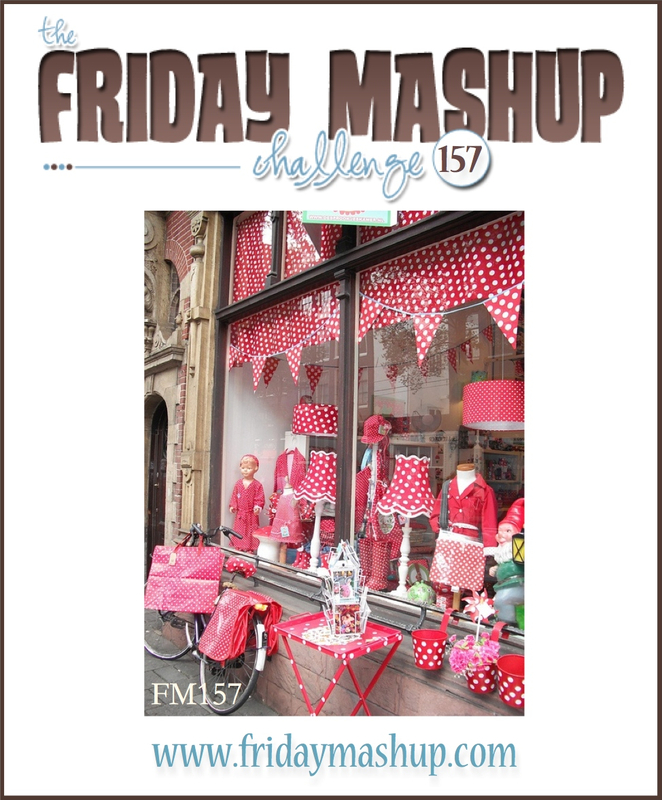 If you haven't already, check out the FMS and give Cindy's sketch a go. Can I just say up front that I really struggled with this card - not because of the sketch but due to having limited supplies on hand. This is why I don't go to crops, etc because I always want what I haven't got! Having said all that, after several attempts, this is my final card. 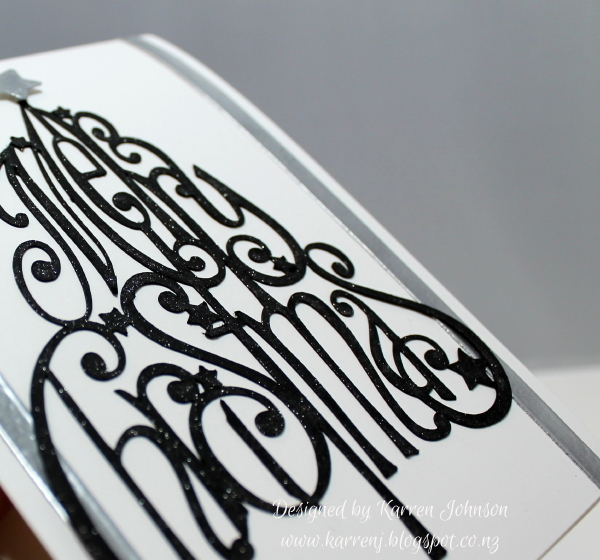 I stenciled onto both the card base and the larger white panel using a Tim Holtz stencil and embossing paste. 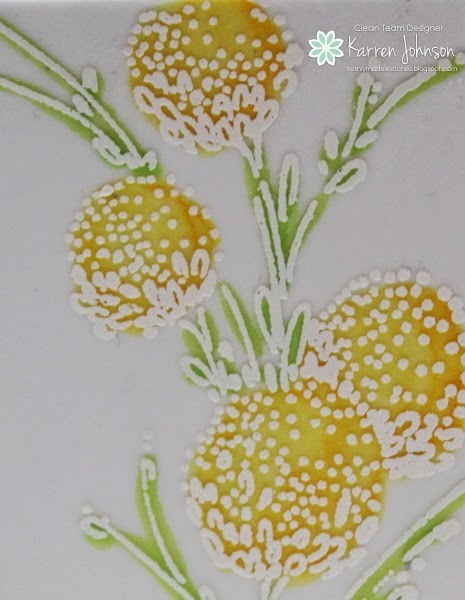 The floral image was white embossed onto vellum and colored on the back using Copics. It was adhered to a white panel using vellum tape and lots of burnishing! 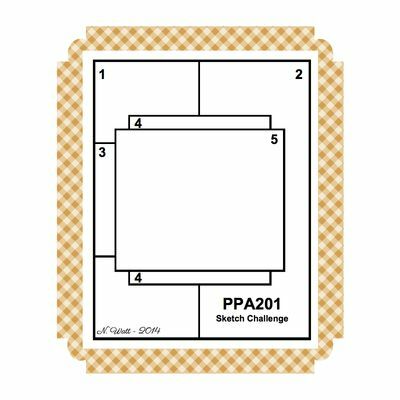 Hi and welcome back for another Merry Monday challenge. 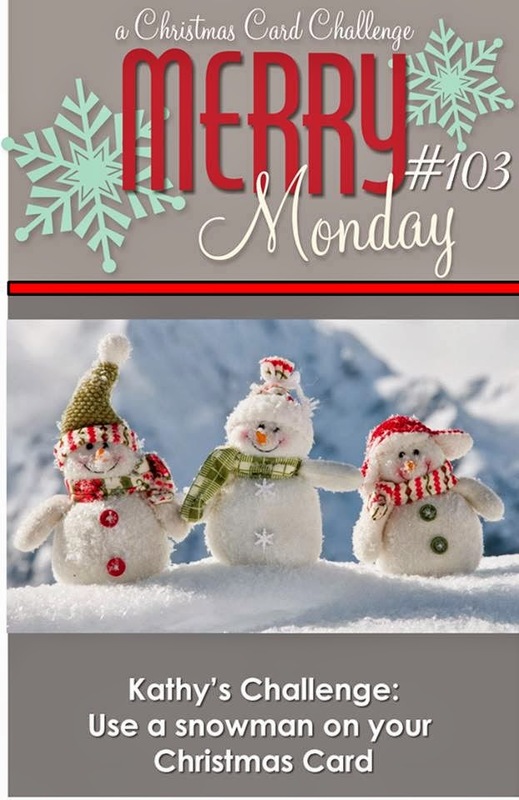 This week, Kathy has challenged us to use a snowman on our card. Look at this adorable inspiration photo. I used a retired SU set called Jolly Old St Nick. This snowman is just too adorable and after I stamped him onto some Whisper White cardstock, I lightly colored him with Copics. The "snow banks" were cut with my new A2 curved die from SSS. 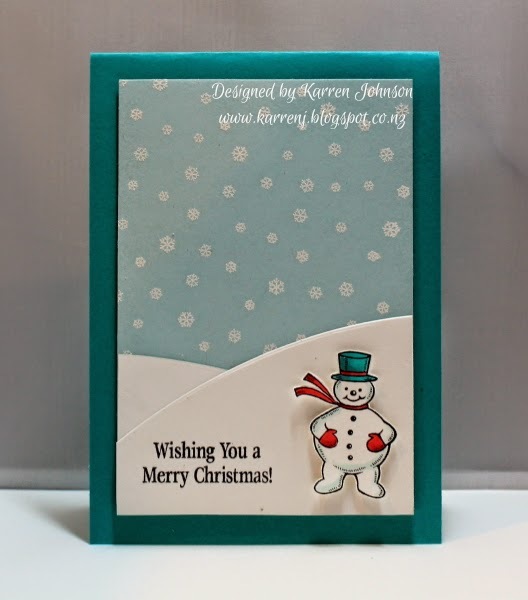 The Soft Sky panel has white-embossed snowflakes.I actually stamped the sentiment crooked so I had to add another front snow bank, which actually adds a bit of dimension to the card! My snowman is popped up on dimensionals. Thanks for looking. If you haven't already, check out the inspiration from the rest of the design team. They will amaze you, as always. It's Freshly Made Sketch time and this week our sketch hostess is the very talented and always funny Linda Callahan. Linda has given us a very cool sketch with lots of possibilities. I just received my new Winnie & Walter stamps and had to put them to use so came up with this card to fit the sketch. 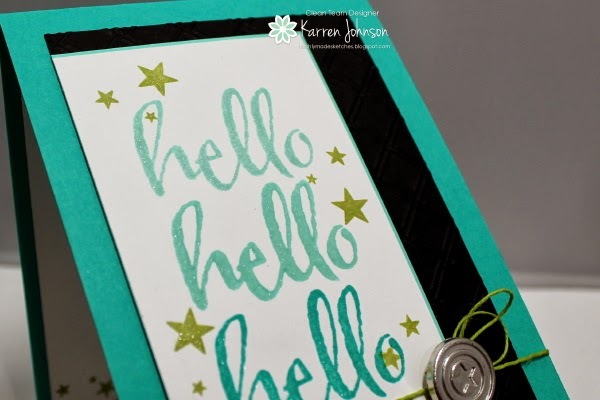 I am loving the large hand-written sentiment trend that's happening now and took my cue for this card from Ardyth's gorgeous card here to stamp the sentiment in different colors. I used Pool Party, Coastal Cabana and Bermuda Bay. 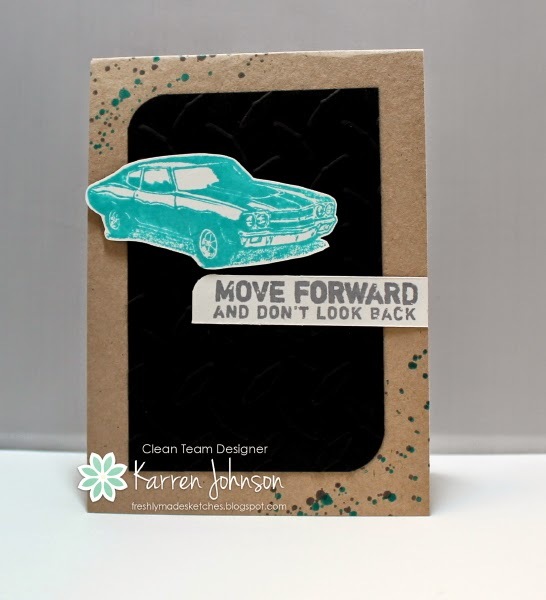 The black panel is dry embossed with a new-to-me Cuttlebug embossing folder. I was going to punch out a star embellishment for the card until I realised that all my punches are packed away. Doh! 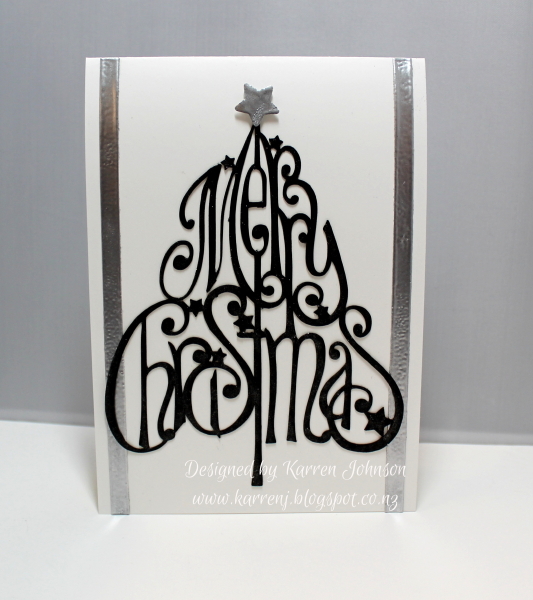 It wasn't until I finished the card that I thought of using the Silhouette to cut some star shapes. Double Doh! The whole main panel was colored with my Wink of Stella pen. It's hard to get a photo of the gorgeous shimmer but this one shows a glimpse. Thanks for stopping by. If you haven't already, head on over to the Freshly Made Sketches blog and check out the inspiration from the rest of the design team. They're sure to blow you away as always! Hi and welcome back to another Merry Monday challenge. 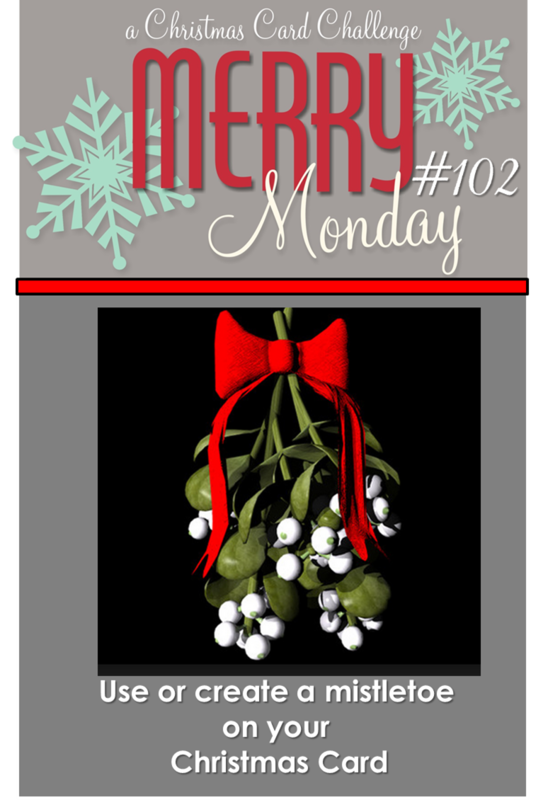 This week, Debbie has given us a theme challenge - use mistletoe on your card. 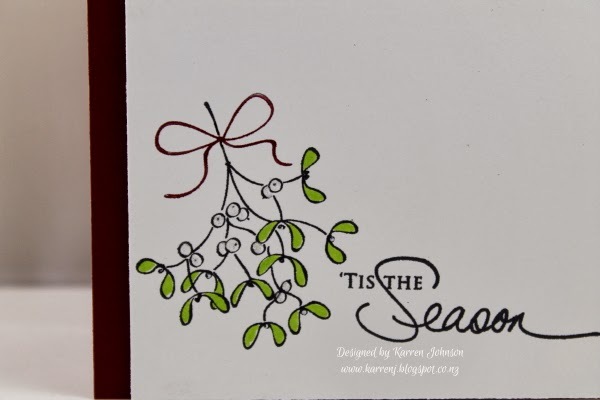 I inked up my mistletoe stamp with black ink, the used a Q-tip to rub off the ink from the bow before coloring it with a Cherry Cobbler marker. I then loosely colored the leaves with a Copic marker and colored the berries with a white gel pen before painting over that with a Wink of Stella pen - which I couldn't capture on film! 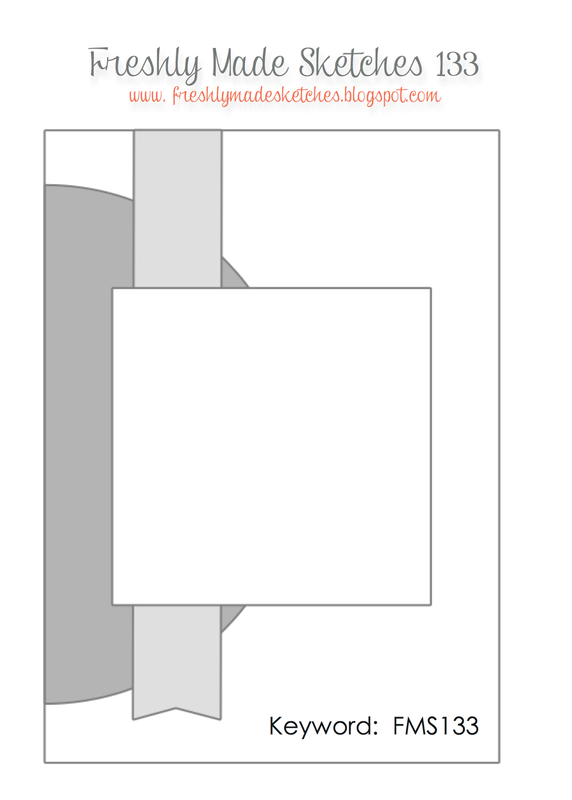 I used dimensionals to pop the narrow panel up on the Cherry Cobbler card base. Thanks for looking. 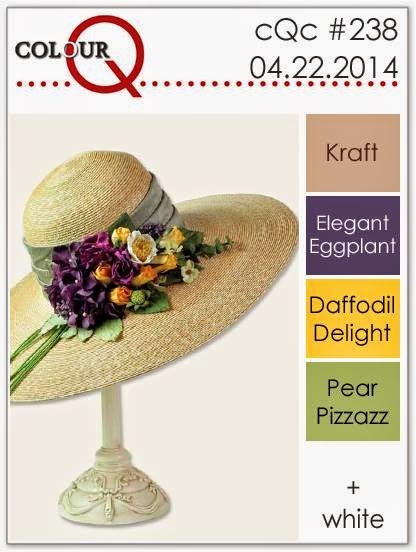 Make sure you check out the rest of the Design Team's inspiration.